This fully illustrated manuscript contains twenty fantastic routines. Steve Bryant uses only the most efficient effects that hold the attention of the audience and prime them for the next routine. All of his routines contain excellent patter that leads the audience through each effect, enhancing the entire magical experience. 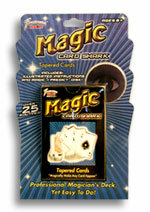 This product was added to our catalog on Monday 14 February, 2005. I really like the fast feedback communications you give us and the followup contacts as to order status. Thanks much. Thanks for the quick and excellent service regarding the instructional video and written instructions for this effect. Well done!